For one, the notifications cannot be hidden without being dismissed. This means that a solid 10% of your screen is occupied by the new Heads Up notifications for what seems like forever, unless you're willing to dismiss the new incoming message. A second major drawback is that the old "Ticker" style notifications that scrolled past line-by-line in your notification bar have been axed in favor of this new system. 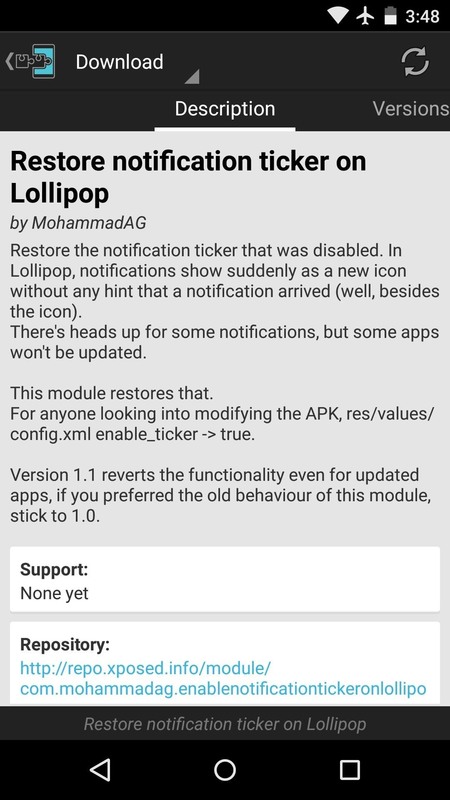 So famed Xposed developer MohammadAG created a new module that will restore the old ticker-style notifications and ditch Heads Up for everything except the incoming call UI. 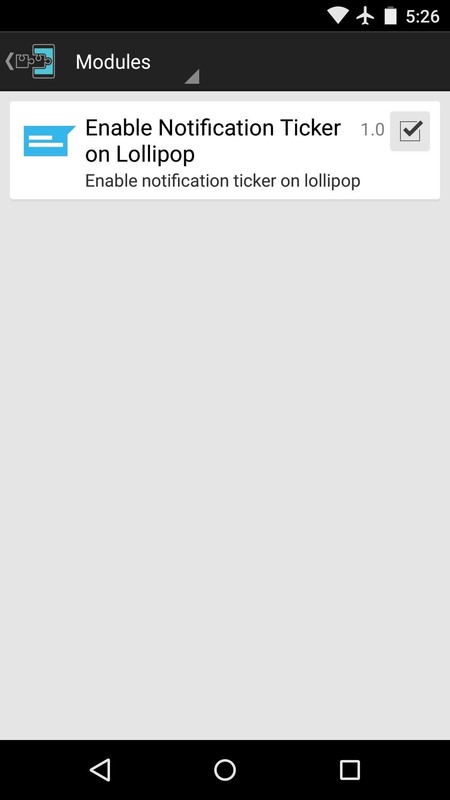 If you're one of the many folks who aren't very fond of Lollipop's new notifications, you'll definitely want to give this one a try. 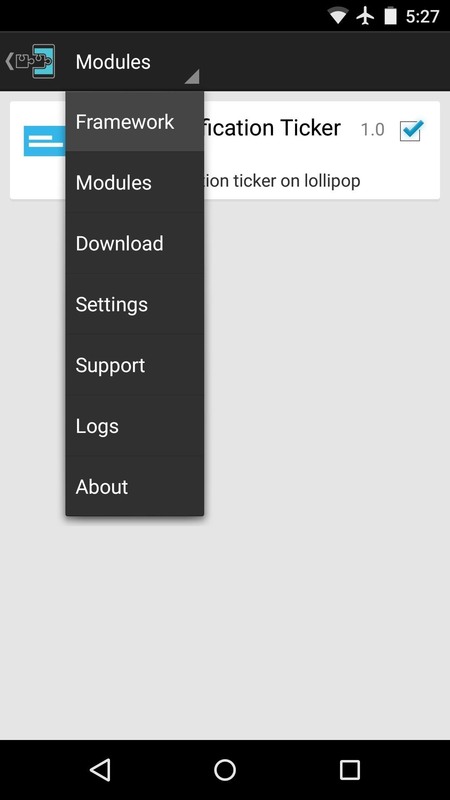 Step 1: Install "Restore Notification Ticker on Lollipop"
To begin, head to the Download section of your Xposed Installer app and search for "Restore Notification Ticker on Lollipop," then tap the top result. 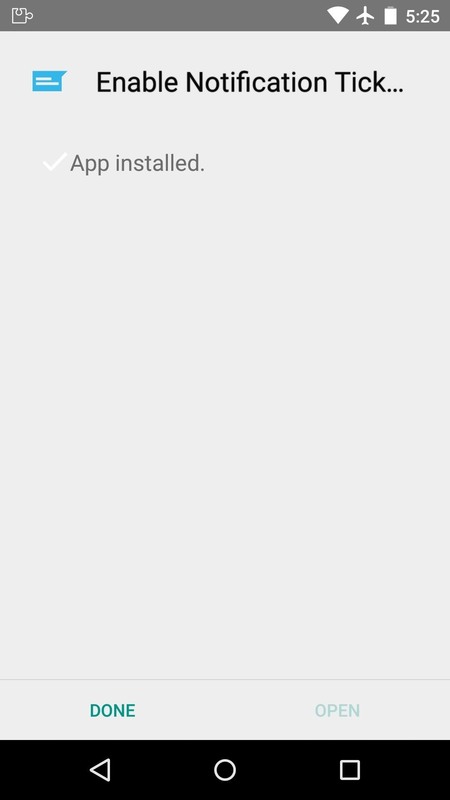 After a few seconds, Android's installer interface should come right up. So tap "Install" on this screen. 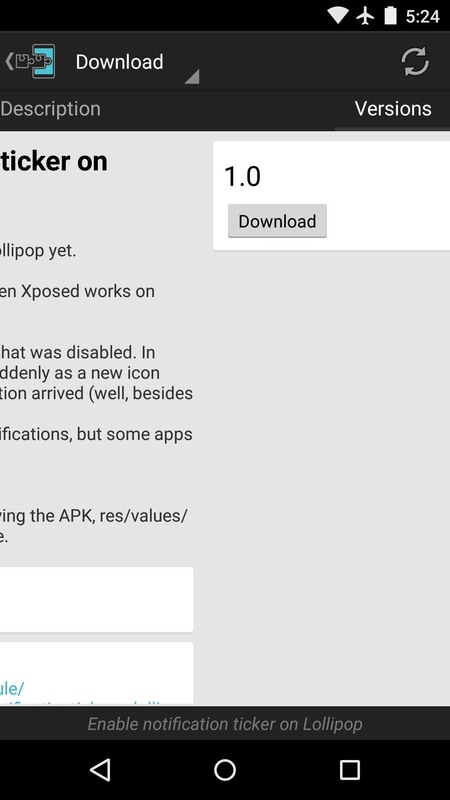 When installation is finished, you'll get a notification from Xposed telling you that the module isn't activated yet and that a reboot is needed. 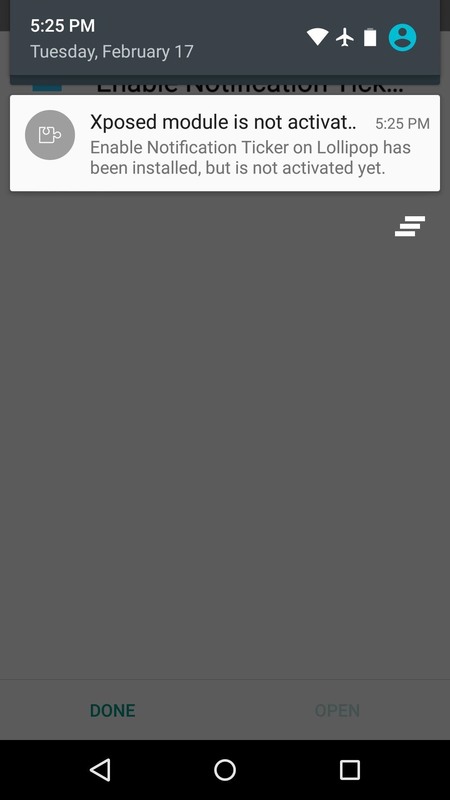 Tap this notification, then on the following screen, tick the box next to the newly-installed module. From here, use the drop-down menu at the top of the screen to head to the "Framework" section. Next, tap "Soft Reboot" and hit "OK" on the subsequent popup. 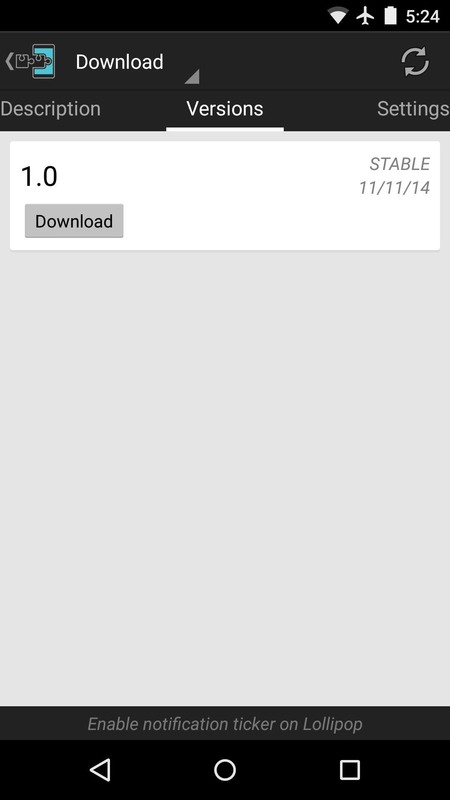 If this is the first time you're doing this, you'll have to give Xposed Superuser access as well. Your device will automatically reboot at this point, and when you get back up, no further setup is needed. Heads up notifications for text messages and other apps will be gone, and the old ticker-style notifications will be back. 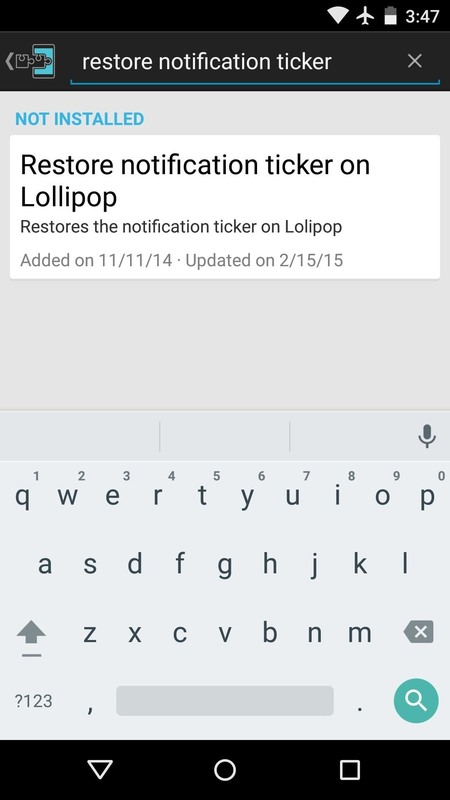 Was this your biggest gripe with Lollipop, or are there other minor tweaks that you'd like to see? 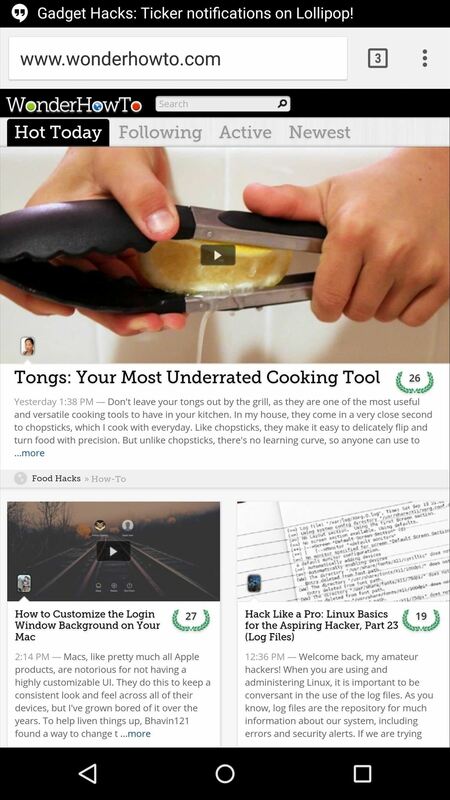 Let us know in the comment section below, or drop us a line on Facebook, Google+, or Twitter.